During heavy rains in California, large rivers as well as smaller streams and creeks can become dangerous. Most of the state is vulnerable to flooding. Areas adjacent to rivers are prone to flooding as are lowland coastal regions. Southern California often experiences flash floods. The Central Valley, bordered by the Sierra Nevada on the east and the Coast Range on the west, is similar to a large bowl that collects most of California’s rainfall. More than 1 million Californians live and work in the floodplains of the Sacramento and San Joaquin valleys, where flood risks are among the highest in the nation. Flooding in California is not caused only by hard rains. In the Sacramento-San Joaquin Delta, there are approximately 1,100 miles of levees protecting 700,000 acres of lowland. In the Suisun Marsh, at the western edge of the Delta, there are approximately 230 miles of levees protecting over 50,000 acres of marshland. According to the California Department of Water Resources, a 6.5-magnitude earthquake in the western Delta could produce more than 30 levee breaches on 16 Delta islands, causing about $30 billion in damages. The Delta is particularly vulnerable to flooding because of its aging, insufficient levees. On a sunny day in 2004, a levee crumbled and sent surging river water into Upper and Lower Jones Tract west of Stockton, causing $90 million in damages, including millions of dollars in direct flood-fighting and levee-repair costs and millions more in losses of crops and property. Upstream dams have done much to reduce flooding risks in California, but whether downstream levees can provide adequate protection in some areas is a big concern. These concerns deepened in 2005, after the destruction of New Orleans by Hurricane Katrina brought new attention to levees throughout the United States, including California. Situated at the confluence of two rivers, the city of Sacramento is considered the second-most flood-prone major city in the United States after New Orleans. Most of the city does not have protection against a 100-year flood — one that has a 1-in-100 chance of occurring in a given year. 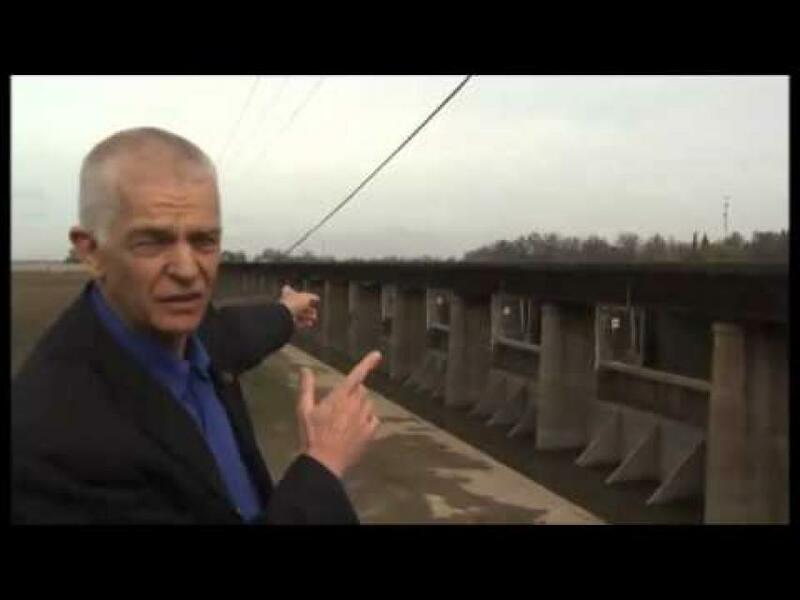 In 2018, Sacramento received about $1.8 billion in federal money to strengthen levees, raise Folsom Dam and widen the Sacramento Weir, which channels flood waters into the Yolo Bypass. Flood management is inextricably intertwined with politics, economics and values. Meanwhile, historic floodplains have been heavily developed for agricultural, commercial and residential use. The effects of climate change further complicate flood risk management in California. Precipitation and runoff patterns are changing, which could impact the timing and magnitude of flows. Expected impacts include more precipitation falling as rain rather than snow. An earlier melt to the winter snowpack is also expected. The California Climate Change Center says more coastal floods are expected due to increasingly severe winter storms, rising sea levels and high tides. In turn, these severe weather events are expected to cause more frequent and more severe flooding, erosion and damage to structures along the coast. California’s flood protection system is facing unprecedented challenges, including increasing floodplain development, rising flood peaks, higher costs that delay fixing problem levee sites, the need for environmental protection and greater state liability for levee breaches. In response, there are multifold efforts underway to staunch the flow of flood risks. Through DWR’s FloodSAFE California Initiative, local, regional, state, tribal and federal officials have teamed up to create sustainable, integrated flood management and emergency response systems throughout the state. Goals include providing 200-year level of protection to all urban areas in the Sacramento Valley and San Joaquin Valley by the end of 2025. Through the years, California voters have approved water bonds with flood protection elements, including 2018’s Proposition 68, which, among other things, included $1.3 billion for flood protection improvements. In 2017, the Central Valley Flood Protection Board updated the 2012 Central Valley Flood Protection Plan, the 25-year, $17 billion blueprint that includes the acquisition of as much as 40,000 acres of land to accommodate flood waters as they drain from the Sacramento and San Joaquin river watersheds. The update outlined ways to reduce the chance of flooding, and damages once flooding occurs, and to improve public safety, preparedness and emergency response.